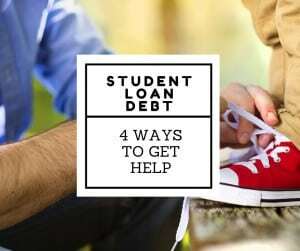 Home » 4 Ways To Get Help For Your Student Loan Debt – Which One Is Right for You? When you’ve got student loan problems, there are lots of choices to be made. From repayment options to dealing with private lenders, you’re facing a dizzying list of tasks to accomplish. Luckily, you’ve also got a number of places you can turn to as resources. As the amount of education debt has skyrocketed over the past decade, more companies have begun offering services to help borrowers. Before deciding how to tackle the problem, look into your needs and which solution is the best fit. 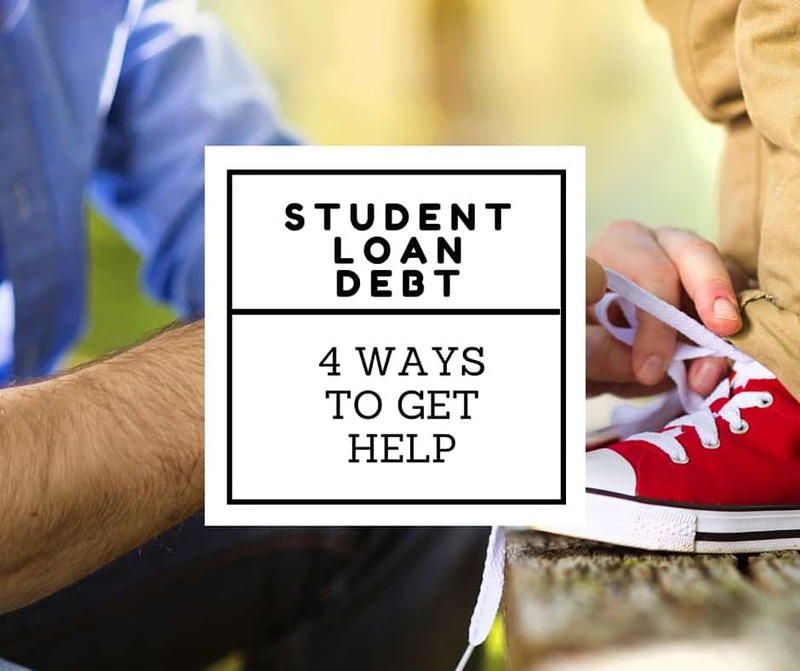 Here are four ways to get help for your student loan debt. When it comes to federal student loans, the web is your best starting point for information and procedures. The U.S. Department of Education maintains an excellent web resource, as does the Consumer Financial Protection Bureau. Other sites such as FinAid, and podcasts dealing with student loan issues, are useful for the depth of information they provide. Beyond that, there are some excellent books you can pick up to gain an understanding of your choices. These do-it-yourself resources are excellent if you’re dealing only with federal student loans and are comfortable with solving your problem. For issues concerning private student loans or getting your federal loans out of default, you’re likely going to need the analysis that only a seasoned professional can provide. By far, the most visible resource is the for-profit company offering to help get you out of default and into a loan forgiveness program. These companies, often with slick websites and vaguely official names, shuttle borrowers into federal student loan consolidation and one of the many income dependent repayment options. They thrive on providing little if any information and charge unnecessary fees for completing forms that are readily available from the U.S. Department of Education at no cost. Lately, for-profit student loan counselors have started telling borrowers that they can get their private loans wiped out based on nebulous claims of fraud and misrepresentation. Though many private loans suffer from the same lack of proper documentation and robo-signing that plagued the mortgage industry during the Great Recession, the argument is one that’s best brought up in the context of a lawsuit – something a counselor can’t legally handle on your behalf. For that reason, you should be very wary of hiring a private company or you may end up being scammed out of your hard-earned money. Financial coaches are people who may or may not have any formal training in helping you with your student loans, but offer insights on budgeting and money management. Some financial coaches may also have a working knowledge of student loan matters. Robert shares a great list of student loan coaches in this Forbes article. Though most financial coaches aren’t lawyers, the right one may be able to help you work through your problem from the angle of better money management. They won’t be able to represent you in court, but the right financial coach may be able to provide valuable insights into ways to keep your student loans on track. The field of student loan law is relatively new, with attorneys incorporating not only a knowledge of federal regulations but also debt collection, credit reporting, and bankruptcy issues. Though some attorneys limit their practice solely to one type of student loan issue, the most skilled will be able to look at your situation from all angles to be able to advise you in the most complete manner possible. There are 5 major reasons for you to work with a student loan lawyer. A complete analysis of all loans – not just Federal ones. A student loan lawyer can fully analyze your federal and private loans to advise you of the best way to minimize your payments or get out of default. With so many programs available, it can be difficult to make those determinations on your own. Review collector behaviors. A student loan lawyer can help determine whether you have a reason to file a lawsuit against a collector for violation of federal or state debt collection laws. The rules that govern debt collection are complicated, and collectors who run afoul of the law can be forced to pay you money damages as well as cover the costs of your lawyer. Ensure proper credit reporting. There are also federal and state laws governing how a creditor or collector can report your debts to the credit reporting agencies. As with debt collection laws, those who violate these laws can be forced to pay you money damages as well as your legal fees. Defend student loan lawsuits. The stakes go up when a student loan company files a lawsuit against you, so it’s important to have the specialized guidance that only a student loan lawyer can provide. If you don’t defend the case – or worse, miss important legal arguments – you’ll have to deal with a judgment against you and consequences that may include wage garnishment and liens on your property. An attorney who understands the unique world of student loans can give you the edge you need. Issues such as the relevant statute of limitations, proof of chain of ownership of the loan, and proper accounting can help tip the odds of a favorable result in your favor. You’re allowed to represent yourself in court, or you can hire a lawyer to do it for you. In some states, you can hire an attorney in a more limited role and have the freedom to represent yourself while also having the benefit of legal advice. Finally, some loans that look like student loans may not be considered educational debts under the bankruptcy laws at all. In those situations, getting out from under your student loan obligations may be a relatively simple process. A student loan lawyer with experience in bankruptcy can help you decide whether this may be a way to relieve some of the financial pressure. In addition, only a lawyer can properly advise you about your eligibility to file for bankruptcy, whether you’ll be able to keep your belongings, and the impact a filing will have on your life after the case is over. As you can see, you’ve got a lot of choices when it comes to getting help with your student loan problems. By understanding the benefits and risks associated with each one, you’ll be able to make the best decision so you can protect yourself and your financial position. Have you ever considered seeing a lawyer about your student loans? Ask your questions about it below! Jay S. Fleischman is a student loan lawyer who consults with borrowers nationwide. He is a nationally recognized speaker on the subject of student loans as well as the host of The Student Loan Show, a weekly podcast providing news and information about managing your educational debt. I had $52,000 of private student loan debt. I’ve been paying it for 6 years and have 6.5 years left of about a $500 monthly payment. While I’ve never missed a payment this is a large payment to be making based on my sarlary. Is there any kind of student loan relief for private student loans? I’m currently working with a law firm that deals with Navient. And from what I read it sounds exactly like this. I’m paying a third party and have stopped paying my private loan. My credit is being affected and they have told me not to worry about it because they are dealing with it on my behalf. I’m so nervous to think that I’ve been scammed but I have no idea. They are easy for me to contact and answer my questions when I have them. But they have no way of telling me whether my debt will be settled or not. They say that they always win these Navient cases but in the mean time I’m paying them and the loan collectors are harassing me and my family daily. Should I continue this ? What should I do? It’s you call and it depends on how far down the rabbit hole you are already. I really dislike these practices of damaging your credit score to potentially negotiate years later. It doesn’t really make sense. Rose, I did the same thing. I signed the agreement for them to look into my loans, college and so forth. I have neivent loans as well, I’m guessing it has to be the same firm for our stories are similar. Did you have a good outcome or any advice to offer? I’m also worried I made the wrong choice, they told me to monitor my credit score monthly and if it changes to call them immediately. I’m considering working with a law firm with a very similar description, any word on how this has been resolved? Hi Robert, I filled out paperwork and qualify for IBR, for a min payment of $0.00 monthly. Which would definitely help out, as I am currently looking for a new job. I know that interest will still add up and after 25 years I would have to pay taxes on approx. 45k. Will that ruin my credit? Also, I don’t know if making any payments in between will go toward the principal amount or if it will go directly to interest. They also said once my income changes the monthly will change, which is ok too, but I mainly worry if any of the payment will go to my principal amount and if doing this will ruin my credit. Thanks. As long as you always make your payments on time, it won’t do anything negative to your credit. Just pay on time, every time. When the time comes to pay the IRS, if you can’t afford it, immediately speak to a good tax accountant and see what your options are. I was ripped off by National Student Services Center can I do anything to get my money back. That’s a very broad question – what happened? The company may be real, and you paid for a service. However, if they didn’t do the service (i.e. submit the paperwork to change your repayment plan), then you are right to dispute the charge. What you are disputing is that this company did not provide the service you paid for. You state NelNet confirmed this. They likely didn’t impersonate anyone, but you didn’t realize that they were a document preparation company, but it sounds like they didn’t follow through on the service anyway. Is GM Law Firm, LLC | Consumer Law and Debt Resolution working with Student loans of America? Is My Repayment Assistance Company A Scam? I need to know if GM Law Firm, LLC | Consumer Law and Debt Resolution is scammed . I recently was informed by Student Loans of America that will refer me to the GM after enrolling. My student loans are with Navient. I owe a significant amount between college and graduate school costs, and I have high interest rates; my monthly payment has never been a feasible amount for me – I simply do not have the type of income that allows to make the payments (over $1,000/mo). I’ve offered to pay a lower amount, i.e. whatever amount I can afford that month, so that I’m at least making some kind of payment and they would not accept that. I’ve applied for IBR multiple times, each time being denied (despite last years income coming in at around 20k). I’ve applied for consolidation which has also been denied. Each time I try to work with the company to come to an arrangement that it possible for me, I’m given unclear answers, different answers by different people, avoidance, etc. My credit is increasingly impacted and I’m not able to adjust or fix it because of this hurdle. Sorry that you’ve been struggling for so long. Have you considered professional help for your student loans? Currently my balance is $171,000 and after payoff it will be $395,000. That’s alittle crazy for a $36,000 loan, but I guess it is what it is because I did the forebearances for so many years. So my 20 year foregiveness restarted in 2010 when I re-consolidated, unbeknownst to me. I already looked at your site for refinancing, but those payments were just too high and I would also be starting my 20 years over again. Is there any way to refinance the original loan of $36,000 and get some manageable payments? No, sadly the choices you made over time created this loan balance, and you’re going to have to deal with it. However, you’re focusing on the wrong things. First, your payments every year will generally be 15% of your discretionary income each year. The calculations online assume your income will rise, but it won’t necessarily rise by their projects. The important thing is that you diligently re-certify your income every year – on time. If you fail to re-certify timely, your payment will default back to the standard amount, which is likely about $1,600 per month. So, lesson one – re-certify annually on-time. Don’t mess this up. Second, while your forgiveness period restarted after your consolidation (which is one of the big dangers of student loan consolidation), you “big future loan balance” will be forgiven if it remains, so don’t focus on it. Just focus on affording your monthly payments, never missing them, and re-certifying your income. Finally, stop with the forbearances and deferments. They are only hurting you. Do you know if Optima Student Loan company is legitimate? They are saying they are a law firm and can get rid of all of my student loans. I read through all of that and from what I’m reading, it talks about federal loans – I’ve gone through the Income Based Repayments program with my federal loans, but Optima is purporting to help me with my Private Loans. I also checked out Ameritech and all they work with is Federal loans from what I see? Are there legitimate companies that help with Private loans? I have a weird situation. I paid off my student loan in 2000 in full and moved abroad for 17 years. When I returned I found that I was in default of my student loan. Apparently the school didn’t include my last semester when I paid them off! Now that I have moved back and have a job I am being threatened with wage garnishment. I don’t know what to do! I don’t mind paying my loan but the insane interest and fee’s attached now are not even remotely acceptable. What can I do? I have only weeks to “file for a hearing” or they proceed with wage garnishment. Give them a call and see what your options are. Get it in writing. If you are being sued, get a lawyer. I entered a business “college which I learned was not accredited but receivrd Govt Federal Aide” on students behalf. After eleven years of my quitting because I learned of their fragelent practices, the state finally shut them down. They tried took me to court w/o notifying me while I lived in the same city and got a judgement I knew nothing about til someone else had same expetience and shared. Am I to be held responsible for the money they continued to except by keeping me enrolled beyond my exit date? Also while experiencing medical issues the loans from another school entered default after several deferments and substanial unemployment. Now like so many others, I am being hounded about forgive progrsms that just make no sense whatsoever. Navient’s csr have been rude, yold lied on my family members to each other thinking they are getting information about me my family doesn’t have because it doesn’t exist. I have tried numetious times to communicate with them and they get hostle and really rude on the phone, so I hang up. I don’t know Who to talk too or how to proceed. Another school kept me on their enrollment collected FA, say they issued RF checks buy can or will not provide information where these checks were sent, how much they were for, or what bank they were issued from. Is this legal? Yet they want me to just sgree to electronic payments with no billing documentation. Can Navient do the same? Not provide billing information? No matter what, you’re responsible for your debts – for the for profit school and others. I’m sorry that you didn’t discover your options early enough to mitigate some of the damage. If Navient is your loan servicer or debt collector, you should try to work with them. I borrowed 55K for grad school via Subsidized and Unsubsidized Student Loans and a Grad Plus loan during the banking crisis when Student Loan rates were 6.5% and 8.5%. I was told I’d be able to refinance the rate. Not true. My loan was sold at least 3 times from Wachovia to Sallie Mae to Nelnet to Navient. I paid off 2 of the 6 loans and was scammed by both Navient and American Student Loan Center who convinced me to consolidate my loan to Great Lakes. The rate is 7.75%, reduced slightly to 7.5% with autopay. I have been paying IBR and PAYE minimum and more each year for 9 years now. I owe 41% more than I borrowed and it never goes down. Interest is costing me $15/day. My “forgiveness” happens after 17 MORE years of this hell and even when I send in extra payments and instruct them to apply it to principal, these weasels find ways to hold my payment in pending and only apply to interest or ahead. It seems these predatory companies do everything in their power to manipulate and confuse borrowers. Looking back at my notes, Navient had not mentioned IBR plans and told me to go to forbearance when I couldn’t afford the standard payment which jacked up my interest. Not only that, they claimed the 2 of 6 loans I had paid off had small (1.00) balances and that I was in default. You need to watch these evil, unscrupulous people like hawks. I’m not sure what I should do, if it would be good to get a lawyer I can’t afford and sue, to pay $20/day and demand again extra go to prinicpal, try to declare bankruptcy and ruin my financial life, or try to switch to a private loan and loose IBR and other federal loan protections, in hopes of getting a marginally better interest rate, lobby Congress or something else. Mary I am dealing with Great Lakes too ! They told me they been adding a capitalization fee of $5000 dollars to my loan no wonder it went from $40 thousand to over $115000 ! For what waste of money I never got a job making over $32 thou a year ! Education ripped me off that dream is a nightmare now to me ! Hunting me my whole life now ! No relief insigh smh ! I’m a debt slave just like they wanted it . Spoke to Western Benefit Group today , so let’s see what they can offer but from the looks of these reply’s we doomed lol ! Hello, I have about $105,000 in federal student loans that are being serviced by Navient. I am coming out of forbearance and my payment of $999 – which I truly cannot afford! I have reached out to Navient several times and because of my income, they are saying they can only lower it to $500, which I still cannot afford! I have really good credit and have been trying to ask them if I can get my payments lowered to $100 per month, which is all I can afford after my mortgage, utilities, car note, etc. I have pleaded with them in allowing me to pay something. I have written to the CFBP and Student Federal Aid but am still at the same spot. I have researched the internet for about 3 weeks and all the blogs and industry experts suggest that i should just let them go into default. Again, I have great credit and don’t want that to happen. I am extremely disgusted that Navient is not willing to take something from me, instead of nothing. With all of the student loan debt in the U.S., it’s shocking to see that they are not willing to work with me to keep me out of default. The agent I spoke with had no compassion and didn’t even allow me to speak with a manager to escalate. Now, I am at the point of looking into hiring a student loan attorney, however, my research suggests that those are good to have, only after allowing your loans to go into default. Please help! Any advice at all is appreciated. Thank you. It sounds like they are willing to work with you and get you on an income-driven repayment plan. With Federal loans, the options are very clearly defined. And income-driven plans will put your payment at 10-15% of your discretionary income (check out our discretionary income calculator here). When you say your payments would be lowered to about $500, that tells me you make about $60,000 per year. While $100k is challenging at that level, it’s not impossible. You should consider your total budget and what you can afford. You should also look at seeing what you an do to boost your income as well. As for an attorney, they won’t be much use – nothing wrong has been done. If you go into default, you might want an attorney, but only because you’re going to be dealing with wage garnishments and tax offsets. The attorney will just get you back on track. I have been Divorced for over ten years and FedLoan thinks I am still responsible for my wife’s loans. We had consolidated years ago while married but she is permanently disabled and has been told her load has been forgiven. I need to un-tangle this mess. Can you point me to someone who can help? Did you by any chance consolidate your loans together into spousal consolidation loans? Did you ever have loans? If not, at this point speaking to a lawyer is your best bet. Check out this guide: how to find a lawyer for your student loan debt.